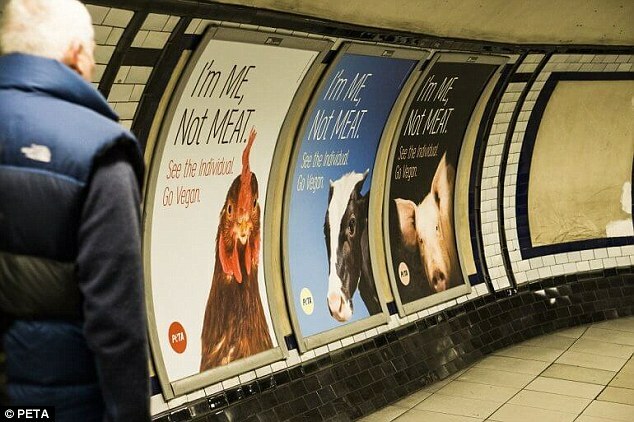 Over the last decade, the number of vegans in Britain has risen by 360%. There are many reasons why people are making this change but mostly they are seeing the truth, the reality of what is on their plate: the life of an animal cut short. If you spend any time on social media I am sure you have seen content and videos about what happens to animals behind factory doors. If these are images you try to avoid, I urge you to watch. Do not turn away, do not ignore it. Older generations say that we have become desensitised to the world around us, that video games and popular culture are to blame but we have been desensitised for decades. We have normalised a society in which the calculated mass murder of animals is a daily occurrence. We are disconnected. We need to see this footage, we need to witness these truths in order to awaken our compassion which is our human response to the suffering of others. We need to hear the idea that an alternative is possible, to know why and how we should change what is happening. Our compassion is there but we have been conditioned to suppress it. Our world has been manipulated into believing that certain practices are normal and acceptable when they should in fact be the absolute opposite. We have allowed these carefully constructed messages to penetrate every aspect of our lives. We see them everywhere simply because industry has paid for them to be there. The reality has been hidden from us in plain sight. We are fed with information, education and advertisements every single day throughout our lives which promote these practices. However, exposing ourselves to the reality of how our food gets to our plate, can lead us to reconsider the choices we make. Let your compassion teach you to be mindful of your impact on others and this planet: to make more mindful decisions, to take more mindful actions. It is easy to become complacent in the lives we lead; to accept the things we are fed (literally); to not second guess what you are being offered or what is being driven in to your subconscious by your everyday surroundings. We accept our lifestyle and forget the reasons we make the decisions we make each day. We just do them because it is what we do and it is what we have always done but it is important to recognise the significance of our decisions. If watching an animal be abused and slaughtered offends you, it should. If it makes you uncomfortable, it should. If it hurts you, it should. If it upsets you, it should. If it angers you, it should. Our natural state as humans is a compassionate one. We care for each other innately and that should now extend to non-human animals. Abusive behaviour is learned and we are the ones teaching it. We have a right to life equal to every other being we share this planet with but the environment we have created teaches us to be separate, to see everything and everyone in terms of hierarchy. The capitalism of the western world and beyond, values profit, more than it values life. Our capitalist society is based around financial gain, material wealth and consuming more of everything. We should be aiming to create a more compassionate and harmonious world and we have the power to achieve that by making more ethical decisions and acting on our compassion. What we have been fed about what we consume is based on misinformation and the opportunity for profit. We do not need the flesh or fluids from another species in order to survive and thrive. Our similarities and common ground in the animal kingdom lie with herbivores. It is not natural for us to continue to consume animal products the way we do now, they do not benefit us, they hurt us. Your body will take everything it can from what you consume but overall, animal products are killing us from the inside out. 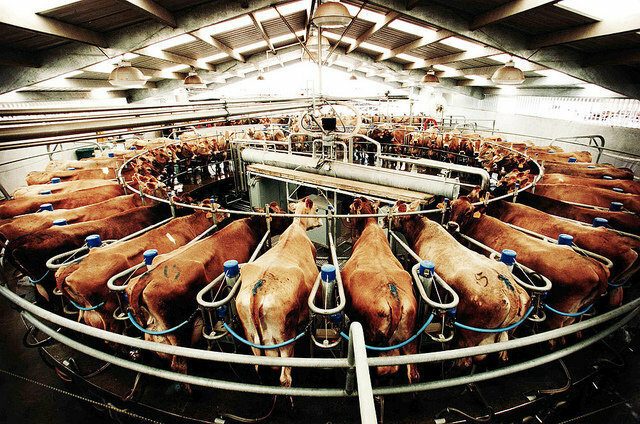 People are dying every day from diseases created by this industry and our greed. We are killing animals, the planet and ourselves as a result of the decisions we are currently making. The issue is not the fact that we may have killed and eaten animals for centuries. It is about whether we still need to. We don’t. Survival is not in question anymore. We kill and eat animals because we have done so for a long time, because they taste nice, because we can. It is business, not necessity. None of these reasons are justified when it involves the life of another. It is not a personal choice because it involves the life of another. Animals do not produce their milk, honey, eggs or young for us. They make them for them; their children, families or colonies. They make them for a reason otherwise they wouldn’t make them at all, that is the way evolution works. They are not ours to take. 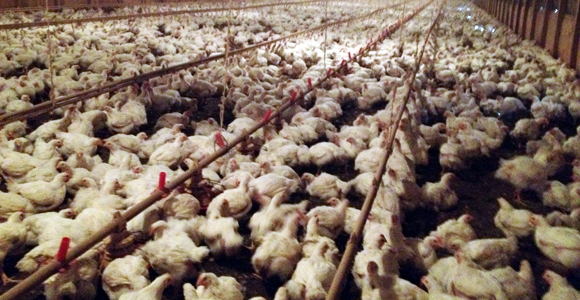 The term ‘free range’ is dishonest. No factory farmed animal is free. No animal confined to life as a commodity is free. ‘Humane slaughter’ is an oxymoron. These concepts hold no weight. Nothing is humane about the confinement and slaughter of a sentient being. We are enslaving and murdering living beings who do not want to die. That is why they scream. That is why they resist. They have the same will to live as we do. Buying packaged meat, dairy or eggs from the supermarket is not ‘the circle of life’. It is not survival. It is us taking and taking and using and abusing and murdering animals just because we can, just because it makes a profit. Animals are not here for us. They are not here to serve us. Their ‘purpose’ is to live and breed and thrive on this earth. Just like us. They feel fear, they feel pain. Just like you. Every piece of supermarket bought meat, dairy or eggs came from a broken animal, an animal in pain, a grieving animal, a screaming animal. Animals are not commodities, they are not things. They are living, breathing, conscious beings. They are mothers and fathers and children. They are social creatures, they play, they feel joy and care for one another. Instead we treat them as objects on a production line, as if they are disposable, as if our taste buds hold more significance than their lives. Become mindful of what you support, what you are paying to happen. When you buy something, you are creating a demand for that product and therefore more of that product is produced to fulfill the demand. If you stop buying, you stop the demand. If you think you can’t make a difference you are wrong. One person can’t change everything, but lots of individuals can change something. It is a simple matter of respect, respect to the animals that live alongside us; respect to your body; respect to the planet we live on. When we buy animal products we are making an active decision to contribute to their suffering. To farm an animal is to take their life, their freedom, their joy from them for the fleeting pleasure of humans. It is our responsibility, our generation, to lead this revolution for animals and our planet. We owe them this. I understand how a plant based lifestyle can seem unattainable because of how different it might seem to your own but half a million people in the UK alone are surviving and thriving on a plant based diet and lifestyle right now and this movement is growing every day. To stop contributing to the pain and suffering of other animals is not extreme, it is not difficult, it is natural and easy because it matters. What confuses me the most is the way we view animal products. We regard them so highly, so central to our existence, enough to say ‘I could never be vegan’, when the reality is you could. It is simple. You could stop eating it, stop buying it and your life would go on and so would the lives of millions of animals who were earmarked for death. Earlier this year I joined 5000 others in the streets of London to march for the rights of animals: not just the ones we let in to our homes but the ones we put on our plate, the ones we test on, the ones we hurt and kill every day. This experience helped remind me that we who care are not just a few voices in a crowd but one united voice of thousands, connected, united in one belief, one truth, one movement fighting for animals, speaking up for the voiceless. There are thousands of people who care, who want to make a difference and create change in the world. So if you choose to create this change in your own life, know that you are not alone. You are part of the future.